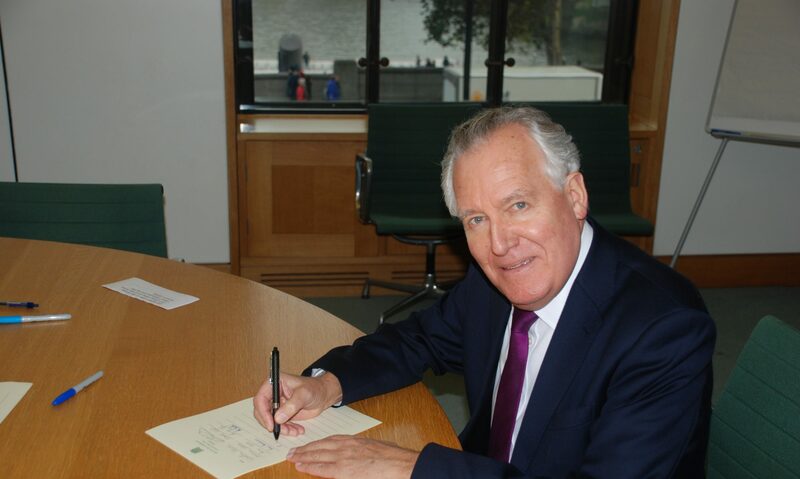 NEATH MP Peter Hain has given his support to the under-threat Gellinudd Hospital, calling plans to close it “nonsensical”. The Pontardawe hospital’s future is in the balance as the health board looks to save money. Health chiefs want to see patients cared for at the site moved to different hospitals or out into the community, either in care homes or back in their own homes if they do not need hospital care. Opposition has been voiced against the closure of the 30-bed hospital by members of the community and politicians including Conservative regional AMs Byron Davies and Suzy Davies. At a public meeting held last month AMs Bethan Jenkins and Suzy Davies and local politicians Mike James, David Lewis, Alun Llewelyn and Rebeca Lewis all lent their support to a campaign by the hospital’s League of Friends. In a letter to the chief executive of the ABMU Health Board Paul Roberts, Peter Hain has said he had “grave concerns” about the impact any closure would have. He says he fears the cuts will have a “damaging effect on the area” and says the facility is purpose-built. “Gellinudd provides a vital ‘bridging’ service for patients who may not require the level of care provided in acute hospitals but who are also not ready to return to their homes. While I recognise that more and more people wish to remain in their homes, and there is a concerted effort to provide more care at home, there are many instances where this is not possible and a stay in Gellinudd is not possible,” he writes. He said there are worries whether home care provisions can provide the level of care and support needed by patients. “Gellinudd plays a key role in the local community, which supports it through admirable groups like the League of Friends,” he adds. “I urge you to reconsider your proposals to close Gellinudd Hospital and look to utilise the facility to help alleviate the current and future strains that acute hospitals and care services are facing,” wrote Mr Hain. “With an acknowledged increasing demand on the service, it seems nonsensical to be removing this facility from the area and with it the 30 beds. “Not everyone will be in a position to return home to receive care and it will cause pressure on other points of delivery,” adds Mr Hain. A public consultation about the possible closure has now closed, and the results of that will be reported back to the health board at their next meeting.